Apple Announces Streaming Video, Payment Card And News Subscription Services As iPhone sales slow, Apple is rolling out Apple TV+, a service to compete with Netflix, Hulu and other streaming services. It's also offering a virtual credit card and a subscription news service. 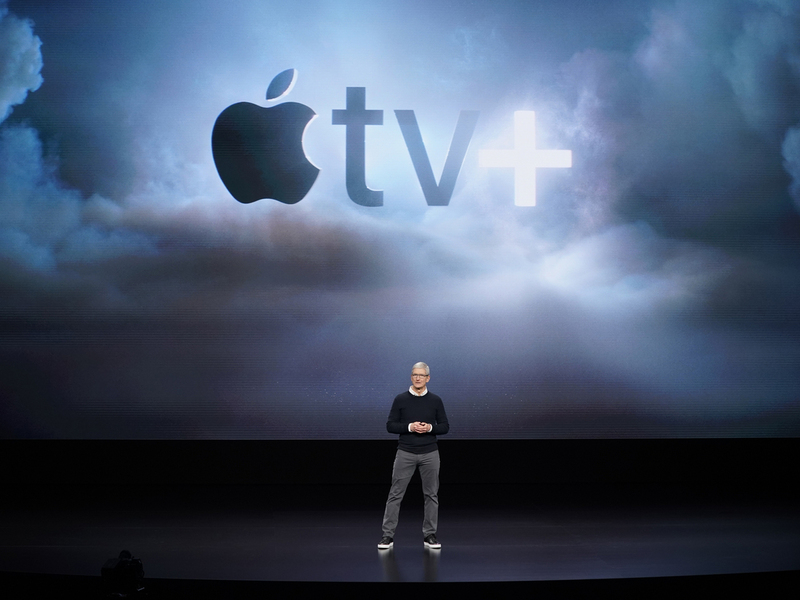 Apple CEO Tim Cook announces Apple TV+, a new video-streaming service, on Monday in Cupertino, Calif.